It has 4GB / 6GB LPDDR4x RAM with 64GB /128GB storage, expandable memory up to 2TB with microSD Dual SIM device runs on Android Oreo with ZenUI 5.0. On Camera It has a 12-megapixel rear camera with support for OIS, Sony IMX363 sensor and 0.03s Dual-pixel PDAF along with AI scene detection to detect 16 type of scenes automatically including Food, Sky, Animals. It also has a secondary 8-megapixel rear camera with 120-degree wide-angle lens for portrait shots and shoot images with a wider view. ASUS also has ZeniMoji, similar to the iPhone X’s Animoji. It also has an 8-megapixel front-facing camera with auto portrait and Selfie panorama modes and has Face unlock apart from fingerprint sensor on the back. It has dual speakers with five-magnets and NXP Smart amplifier. 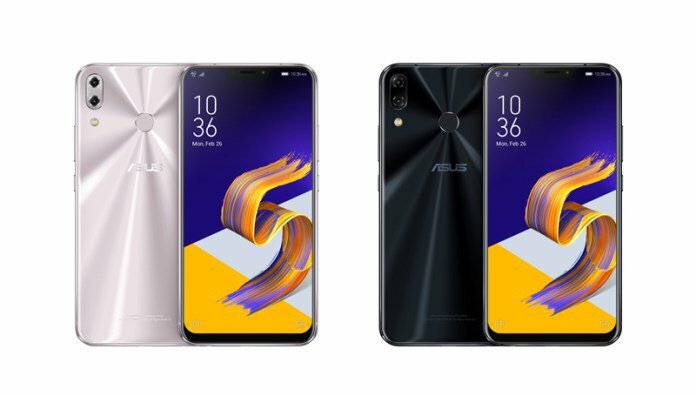 It is also the world’s first smartphone with DTS Headphone: X for 7.1-channel surround sound and comes bundled with Hi-Res Audio earphone.Packed with a 3300mAh battery with ASUS BoostMaster fast charging and AI charging. Asus Zenfone 5 comes in Midnight Blue and Meteor Silver colors and will be available from April. No Details on the pricing yet.